On 4th December 2015 Delhi Govt announced an important and weird news for all car owners of Delhi. According to the new law which will be implemented from 1st Jan 2015, a car owner having an EVEN registration number of his car can drive his car on alternate days only and similar situation is for the ODD registration number owners. Both EVEN and ODD Number cars owners cannot drive their car on the same day. This serious decision was taken due to increasing level of air pollution in Delhi, according to a recent survey done by WHO, Delhi is the most polluted city in the world. Just after this announcement, people on social media and on other platform started criticising the new traffic law. 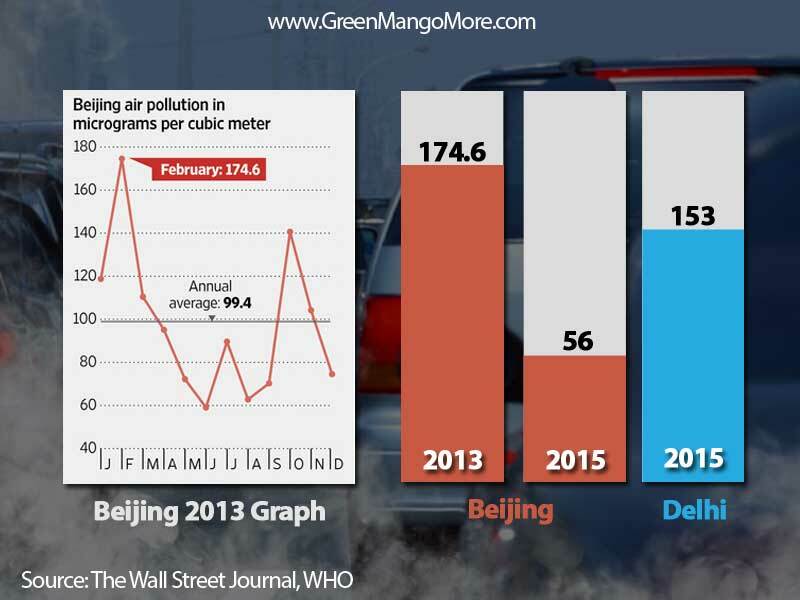 In 2013 Beijing did similar changes on their traffic rules and in just two years there is a drastic change on Beijing’s air pollution graph. These data clearly explain that the so called stupid rule is actually effective and we should welcome this rule in Delhi if we don’t want asthma or any other disease caused by air pollution.